White Coat Ceremony held Sept. 22. 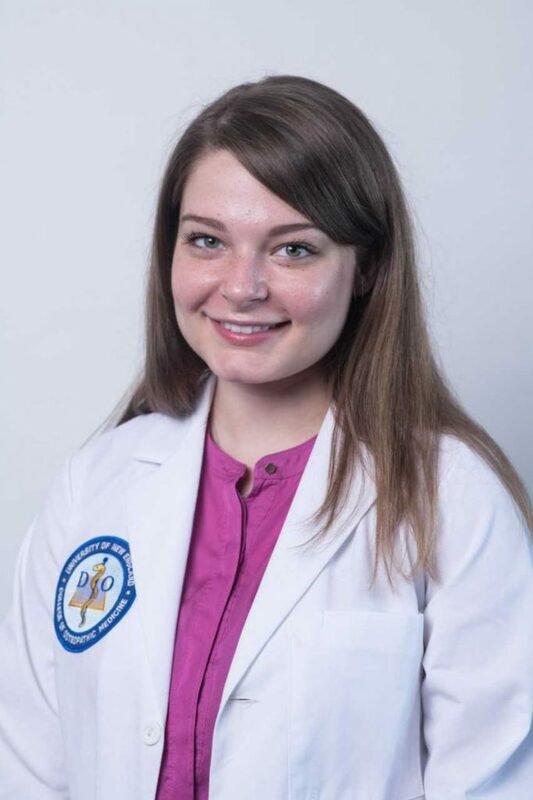 PORTLAND — Courtney Brann, of Windsor, received her white coat during a Sept. 22 ceremony marking her symbolic entrance into the medical field in a ceremony at the Merrill Auditorium. It was the 22nd White Coat Ceremony at the University of New England College of Osteopathic Medicine. At the ceremony, physicians presented white coats to the first year students as a symbolic mantle of the medical profession, underscoring their bonds as future professional colleagues. Stephen Shannon, D.O. ’86, president of the American Association of Colleges of Osteopathic Medicine, delivered the keynote address.